More than all the Star Wars films put together. That’s how much money The Lion King, the Broadway musical, has made in it’s 20 year lifespan. And it’s still going strong. With multiple productions across the globe including one that is still performing on Broadway, it has proven not only to be popular but critically and financially successful – a super-trifecta! But did you know that it began as the film no one wanted and the musical no one thought possible? At the time it went into production, all the top animators had been assigned to Pocahontas and the film Thomas Schumacher was slated to make didn’t even have a title. At one time it was to be called King of the Beasts and featured a story that Schumacher describes as “a kind of animated National Geographic special about a war between lions and baboons…Rafiki was a cheetah, and Scar was the leader of the baboons. And nobody had much interest in it (p.17).” When Schumacher got the idea to turn it into a musical from his husband, he pitched it to Disney…but they were skeptical along with the film’s director. They had Schumacher meet with lyricist and brilliant creative genius Tim Rice (who did little things like Evita, Jesus Christ Superstar, Chess, and Aladdin) to see if there was any hope for it. Schumacher asked if it could work and Rice responded, “I made a musical about the obscure dead wife of an Argentinian dictator. 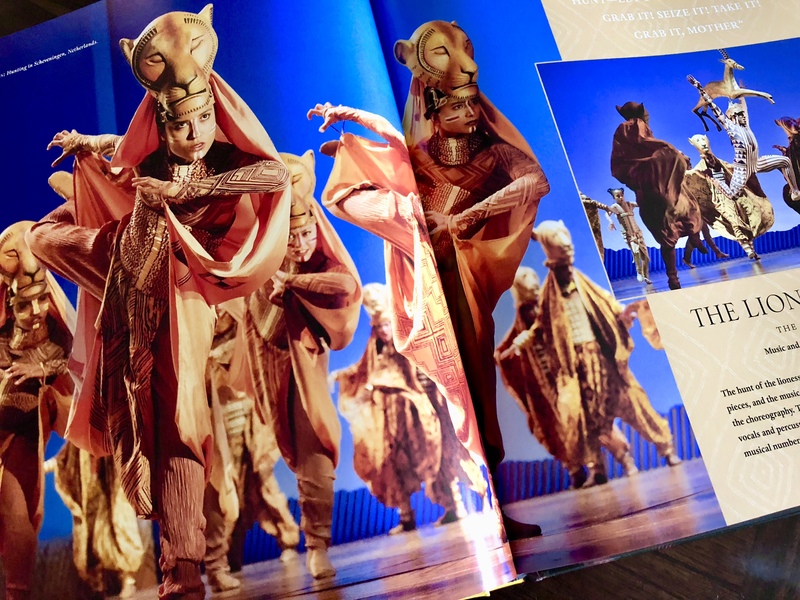 Anything can be a musical (p.18).” And the road to The Lion King had begun. Lassell’s approach to this tribute to The Lion King on Broadway was different than the book he did on Aladdin. Whereas Aladdin was done mostly through interviews and personal reflections, The Lion King was far more like a history book. Not only did Lassell chart the history of the show from film to stage, but added quotes from critics on opening night, early reviews from it’s pre-Broadway stint in Minneapolis, and tons of minute details about the show’s creation. He also lists tour dates, tour productions, issues with moving the sets, and even details about the international companies that performed it worldwide. The focus is not on the awe and wonder of The Lion King but instead on the details of it. If you’re a fan of the theater production, you will find things in this book you never knew. 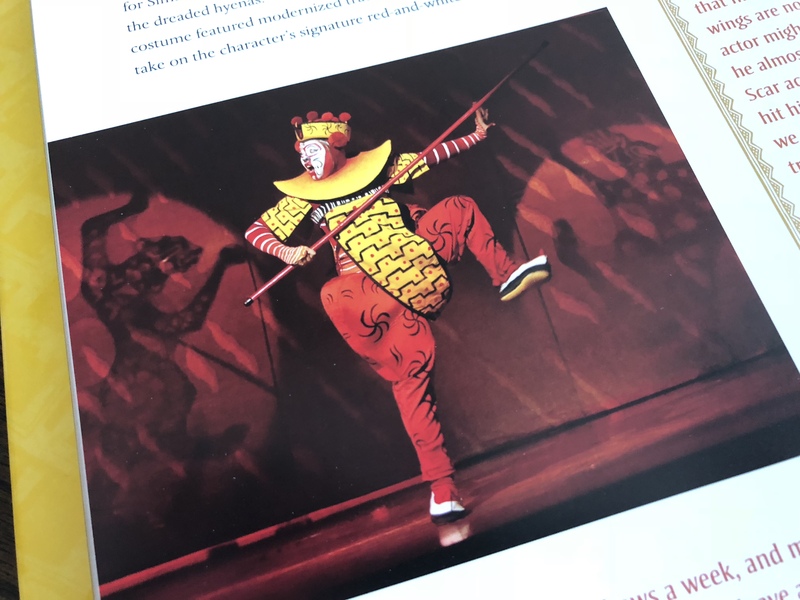 Having just been to Shanghai and seeing for myself the beautiful Walt Disney Grand Theater in Disneytown (adjacent to the park), it was interesting to hear about how different the production was for this particular venue. 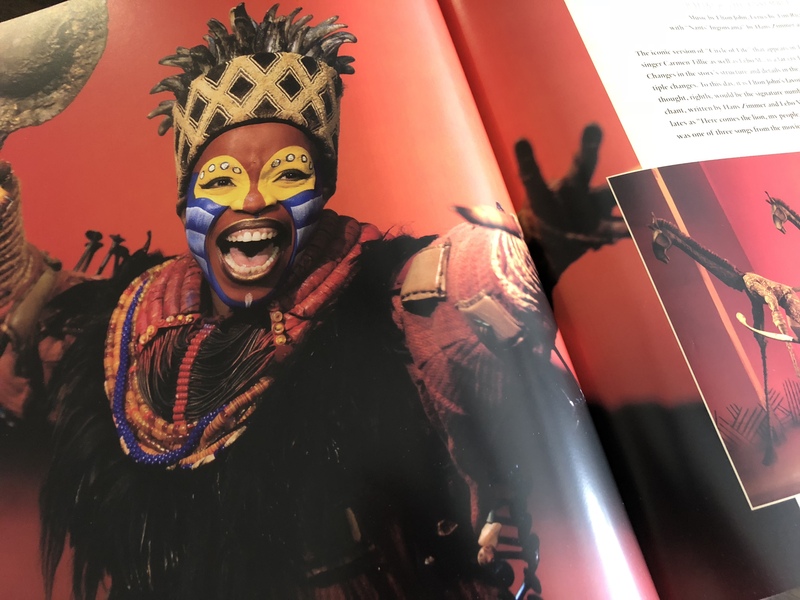 It was the first time a new character was introduced into the musical since its inception and done so at the creative direction of the original director, Tony-award winning Julie Taymor. The Monkey Master was introduced during the year of the monkey from the Chinese zodiac. It was also interesting to read about the challenges of casting in a different culture. It’s these kind of little additions to the story of The Lion King that make this book so interesting. There were sections where for me it was TOO detailed, but for those dedicated fans of the musical, they may want exactly what this book has to offer. Overall, this is a well done book with LOTS of great stories about one of the most successful musicals ever made. If you love The Lion King, you’ll appreciate this book. Wow, thanks for the interesting information. Monkey King addition, huh?